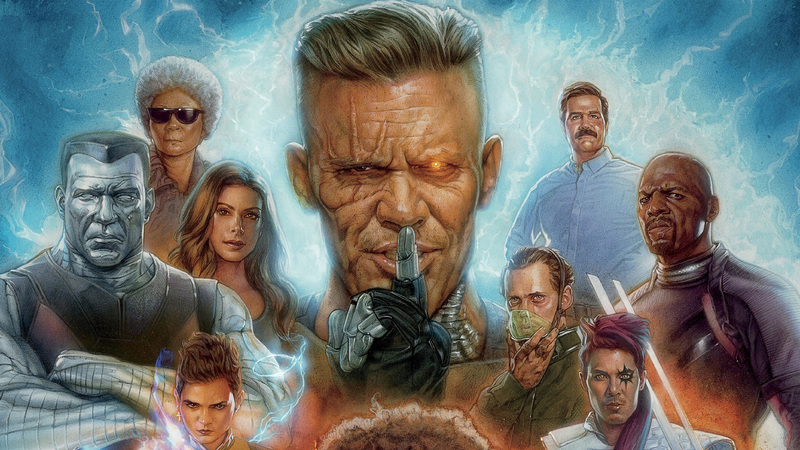 Deadpool 2 serves as the prouder, spirited sequel to the first installment of the satirical superhero franchise. 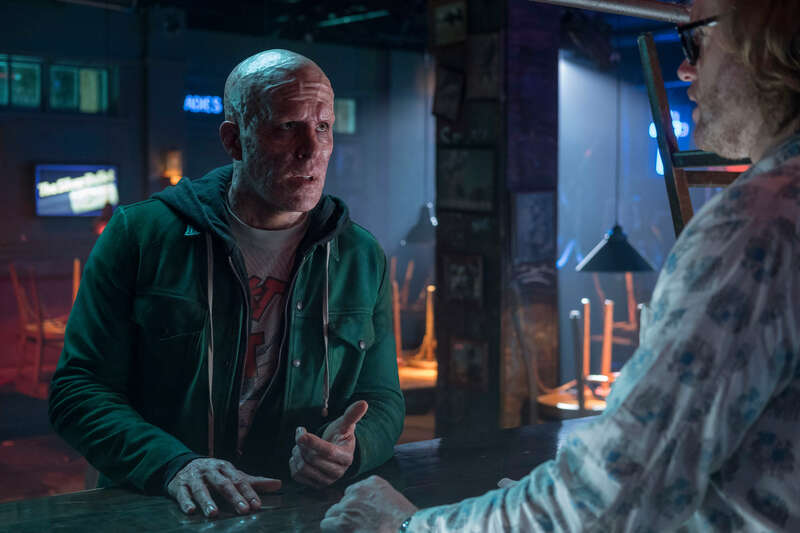 Ryan Reynolds returns as the uncensored Merc with a Mouth, Deadpool (Wade Wilson), alongside most of the first movie's cast, including his large silverware of a bestfriend, Colossus, and the dark and smartmouthed Negasonic Teenage Warhead. The hit series Atlanta's Zazie Beetz joins the cuckoo cast as Domino, with Josh Brolin (who also played the oddly beloved Thanos) as the movie's primary villian, Cable. 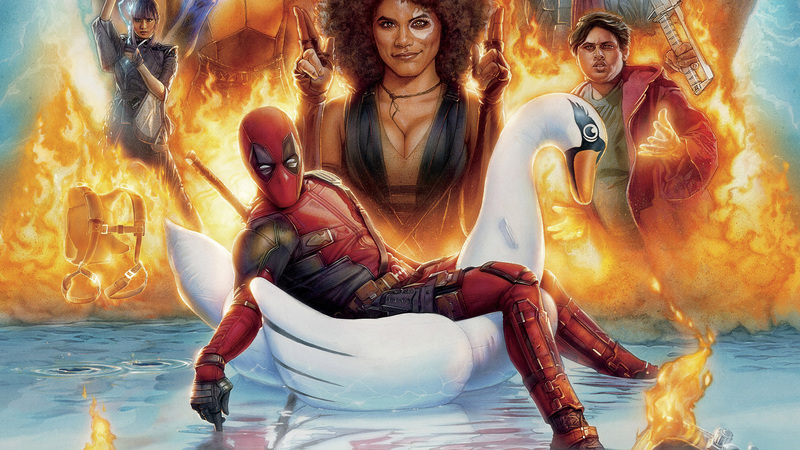 After the unexpected success of the first Deadpool, it's not hard to imagine that Fox would get carried away by the creative freedom afforded to them amidst this feat, at some point imagining so much freedom for the next film that the very freedom would end up holding the film in a chokehold. Which is exactly what happens in this film. Reynolds also suiting up as one of the writers of this sequel sounded like a promising move at first as he knows the dirty-mouthed character best afterall. But he, along with his writing team, stiffled the character with too many jokes, and those awful, obvious and desperate pop-culture references, and unfortunately lost most of the plot. As much as most of the film is fan-servicing at its most desperate, though, Deadpool 2 still manages to be an engaging, belly-jiggling film. This is mostly ensured by the heavy themes that are embeded within the lining of the film. Wade deals with loss and grief, and even regret, which drives him on a dark path of vengeance. He later finds himself on an opposite, spiritual, path of redemption instead. Although most of these dark and heavy themes are stiffled by the constant humor, there are moments that stick. The superhero team-ups, lowkey mocking all the other teams-up we've seen in the superhero genre prior to this one, are hilarious and heartwarming at best, and so become the heart of the story albeit nobody actually being nice to each other as you'd often witness in The Avengers or the X-Men. Overall, the film could've done with some shedding of the overcooked humor, it could've handled the heavier themes more sincerely, and it could've developed its villians better than it did. All in all, though, Deadpool 2 is a generally enjoyable comedy slash family drama slash superhero movie slash action thriller, slash etc. It is neither worth noting among the greats of the genre, nor a complete unwatchable disaster. It is a send-up that at least deserves an applause in being brave enough to test its foot where most films of this type have never imagined going.